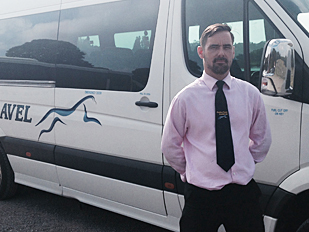 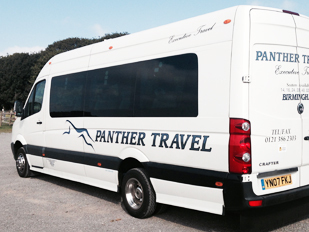 Since 1994, we have been transporting our customers in luxury with our coaches and minibuses. 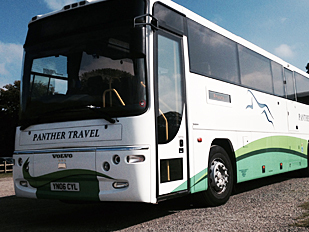 Going on your travels has never been as stress free or convenient. 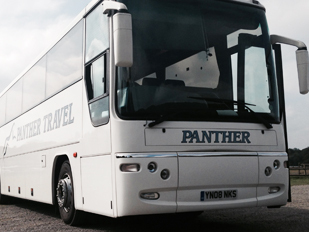 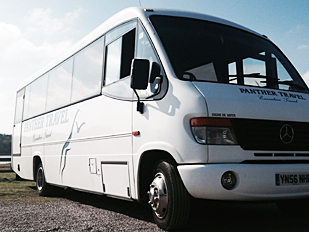 The coaches at Panther Travel Coaches Ltd are thoroughly safety checked and driven by competent, professional drivers, meeting standards set by the Ministry of Transport and the government. 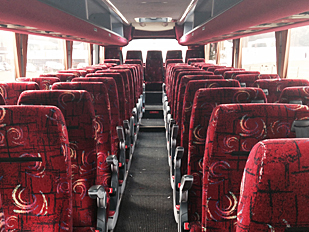 All our coaches are fully air-conditioned, have 3-point seat belts, toilets and drink facilities, generous legroom and provide plenty of space for storage. 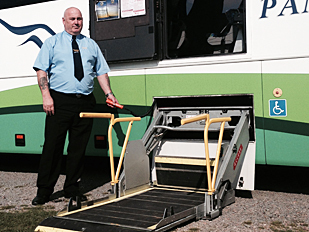 Our coaches now have lift access facilities which make it easier for wheelchair users to travel with us. 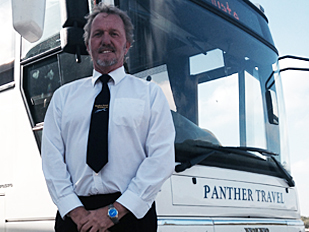 If you would prefer to use the lift over the steps, just ask our friendly driver.